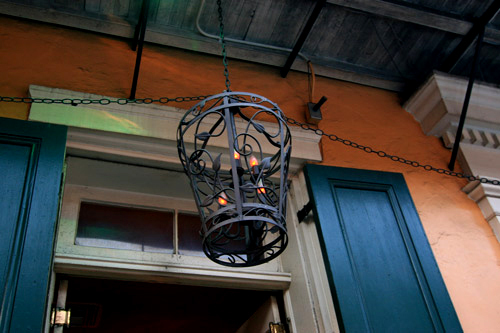 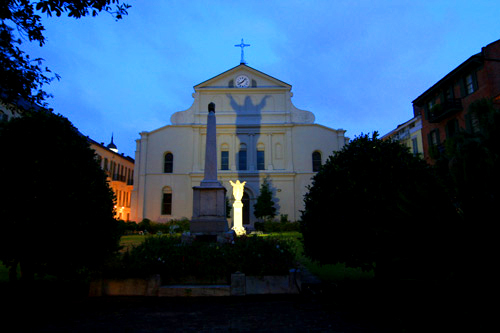 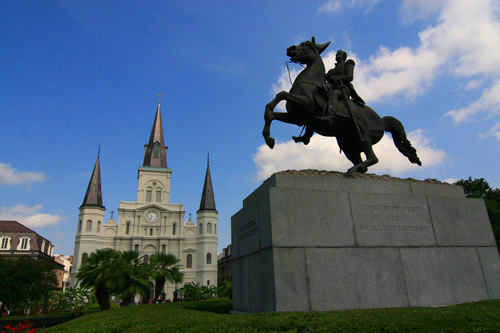 An iron lantern lends its glow to the New Orleans twilight. 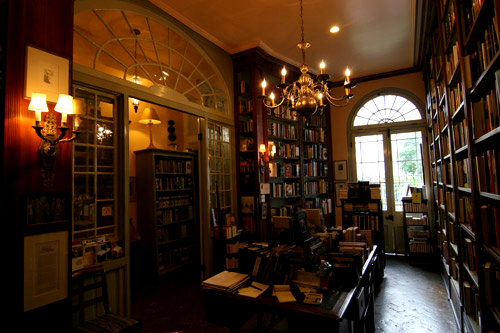 In this former apartment, it's no wonder Faulker wrote an entire novel. 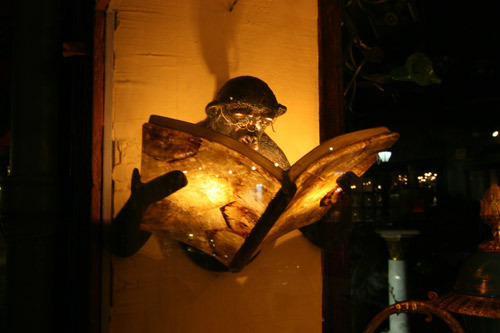 Just because it's dark outside doesn't mean you can't read a book. 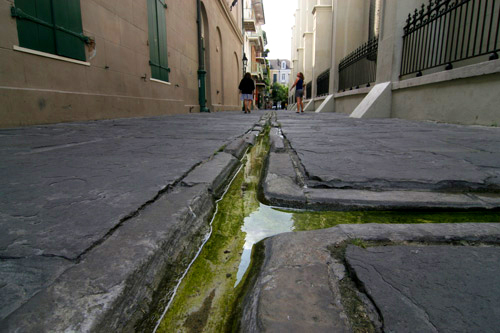 The simple beauty of an old drainage channel in New Orleans. 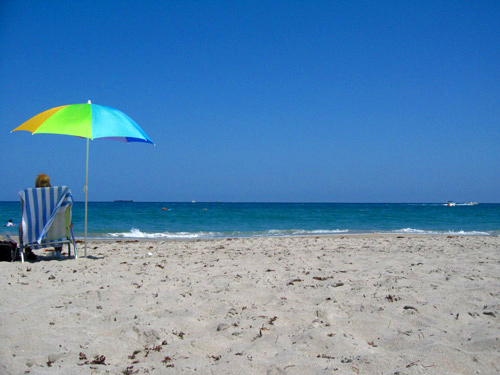 A single umbrella dots the Florida Atlantic coast, a rainbow by salty waters. 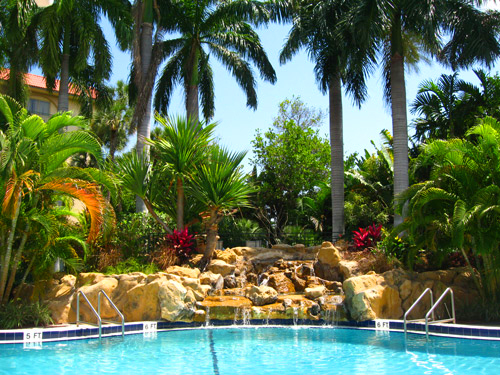 A glimpse of tropical spendor: summertime, Florida-style. 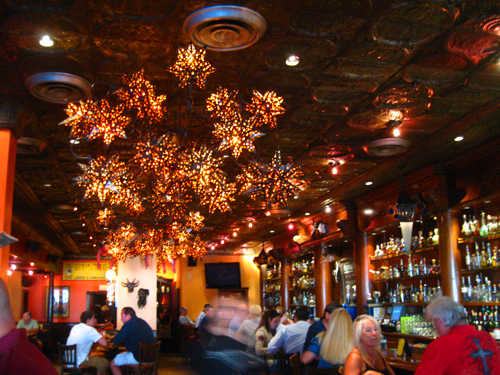 A cluster of decorative laps create a starry ceiling in this Boca Raton restaurant. 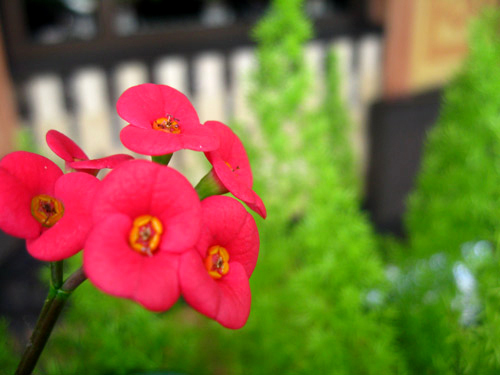 Tropical flowers adorn an outdoor patio in Boca Raton, Florida.